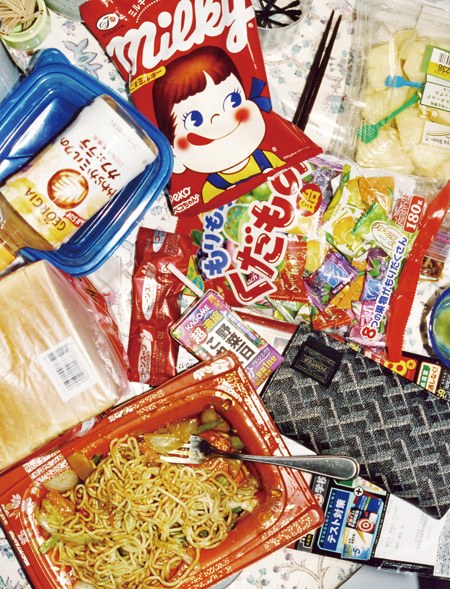 MISAKO & ROSEN is pleased to announce "Still Life", our first exhibition with Motoyuki Daifu. Motoyuki Daifu was born (1985) and presently lives and works on the outskirts of Tokyo in Kanagawa, Japan. in 2013, Daifu was shortlisted for the Prix Pictet award and was included in the related touring exhibition which travelled internationally to institutions such as the Victoria and Albert Museum, London and the Fondazione Sandretto Re Rebaudengo, Turin. Daifu has published two photo-books to date : "Lovesody" (Little Big Man Books, 2012) and "Project Family" (Dashwood Books, 2013). Motoyuki Daifu's recent body of work "Project Family" featured images of his parents and sisters and brothers - and, occasionally, the family cat; these images capturing the chaos of Daifu's atypical Japanese family in an unsentimental, matter-of-fact manner. Unlike this previous photo series, the photographs of "Still Life" are unpeopled - focusing on the un-staged yet compositionally chaotically distinct everyday arrangements of food and household items lain upon the kitchen table in his family home. Though un-manipulated, Daifu's photographs are possessed with a disembodied, post-net sensibility; overabundant with imagery yet absent of human presence, the work short-circuits a mournful read via Daifu's infectious sense of humor and stands as a celebration of and within a chaos of images.